Family offices are typically established after a liquidity event such as the sale of a business, but increasingly, family businesses will set them up without any big financial windfall. The other day Family Capital spoke to a mid-sized UK-based family business. Recently, it had set up a family office, and it had an interesting reason for doing so, which could be copied increasingly by other family businesses. Although investment management was a reason to set up the family office, it was very much secondary, said the family members. The main reason was to help facilitate the smooth transition between the current owner generation and the next generation. And it was designed to set up structures to ensure this transition works. Hence, the family office set up governance and shareholding structures to make this happened. It is also involved in next generation development and helps to oversee the philanthropic side of the family’s wealth. In the future, said the family owners, the idea will be to development the investment function, and this will help, say the family, in managing future generational changes in management and assets. 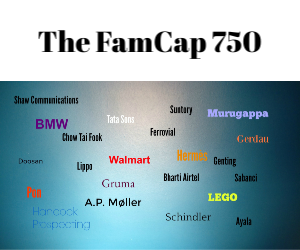 It is Family Capital’s view that family offices might evolve more, at least in terms of their link to family businesses, as overseers of governance structures for generational changes. OK, nothing moves in a linear way, and family offices will always be mostly about investing, but it’s an interesting thought and something family businesses of a certain size are likely to consider in the years ahead.